This special Honda Civic tuned by MUGEN was displayed at the 2006 Specialty Equipment Market Association (SEMA) show, and is planned to be put into production – 500 units a year, a small amount considering how big the US market is. 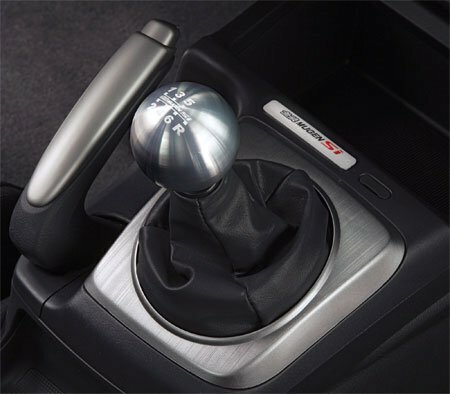 The MUGEN Honda Civic Si Sedan is equipped with an improved high performance suspension system, 18 inch MUGEN forged aluminum GP wheels weighing , a MUGEN bodykit, and a sports exhaust system, obviously all MUGEN original parts. 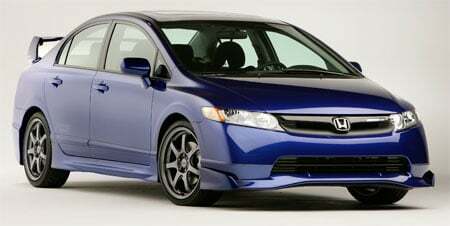 Being an official Honda tuner, the car will also come with a factory warranty. The MUGEN high performance suspension is a track tuned version, tested at the Twin Ring Motegi racing circuit in Japan, lowers the vehicle by 0.6 inches with aggressive spring and damper tuning, which MUGEN says still delivers an acceptable level of comfort. 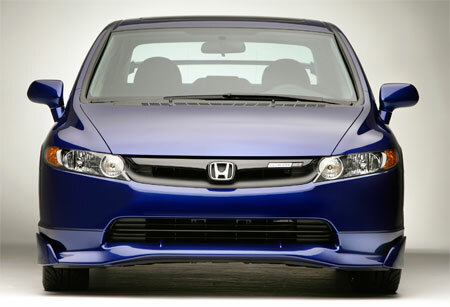 Both bump and rebound front and rear damping force was increased between 8- and 24-percent, depending on condition. 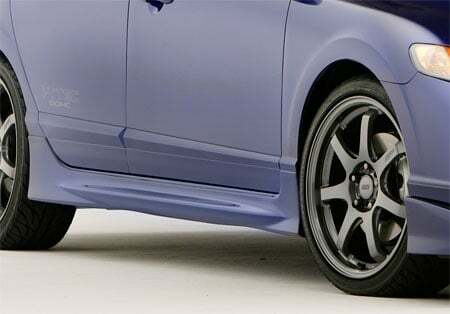 The 18 inch MUGEN forged aluminium wheels are 27 percent lighter than the Civic Si Sedan’s stock 17 inch wheels, at 7.5kg. The wheels are wrapped with BF Goodrich g-Force KDW tyres in 215/40/ZR18 size. 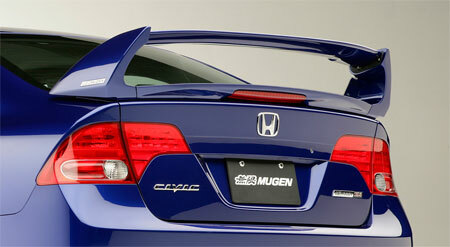 MUGEN’s sports exhaust system reduces backpressure, improving the power curve of the Civic Si Sedan’s high revving K20 i-VTEC engine, which makes 200hp in stock form. 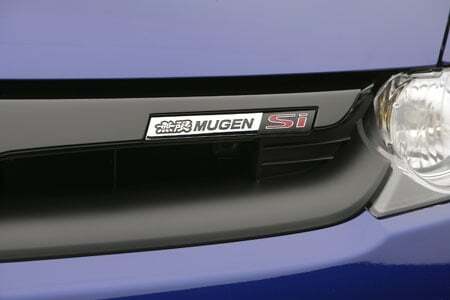 In line with the limited production of the MUGEN Honda Civic Si Sedan, each car will have a serial number located on the instrument panel. More photos after the jump.